This was learned from Police Senior Superintendent Elizar P. Egloso, chief of the regional police community relations division in a press release. Olmo was arrested on January 15 through a text message from a concerned citizen informing the police on the proliferation of this particular illegal numbers game at the vicinity of Brgy. Catoogan, Sta. Fe, Leyte. 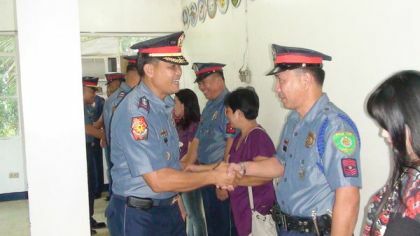 Police Chief Superintendent Arnold R. Revilla, PNP-8 regional director, calls on the continued cooperation of the public to coordinate and contact the PNP through text or call using the cellphone number 0917-847-5757 for immediate police assistance especially in emergency situation such as reporting a crime, wanted person, to report erring policemen, and other complaints or requests.